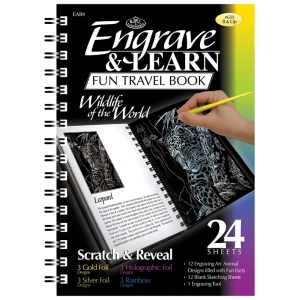 Includes 12 engraving art designs with fun facts 12 blank sketching sheets and an engraving tool. * Book size: 7" x 8 5/8". Board Size: 7" x 8 5/8"